I’ve just discovered The Vetting Room, which looks like a very useful blog offering short descriptions of the qualifications of, and potential controversies about, nominees to the federal judiciary. The Vetting Room is a legal blog dedicated to discussing, examining, and analyzing judicial nominations. Specifically, we research the records of President Trump’s judicial nominees, condense the important issues, and present it for public use. All of our investigations are conducted by volunteer attorneys who are committed to an independent and thorough review. Our posts are the product of multiple rounds of research and editing, and sometimes include the contributions of multiple attorneys. The Vetting Room is not formally affiliated with any partisan or nonpartisan groups, and maintains the primary goal of improving public engagement with the federal judicial confirmation process. While outcomes were good very locally–Donna Shalala is going to Congress, Javier Enrique Fernandez beat Javier Enriquez for the state House, state outcomes were bad, but with redeeming features. Gillum lost a squeaker. Nelson is a hair behind — 21,899 votes or .26 percent of 8.2 million ballots cast — with recount in the offing. Lots of provisional ballots to be counted, could maybe make the difference. All the downballot state Dems lost except maybe the Agriculture Commissioner, where the margin is tiny. Looks like another roller coaster post-election period for Florida. All the state Constitutional amendments, good and bad, passed except for Amendment 1. The best news is that 1.2 million Floridians got re-enfranchised by Amendment 4 — although whether implementation will be smooth remains to be seen. The worst news is that Amendment 5 passed, requiring a supermajority to raise taxes and to close loopholes. This may make Florida ungovernable, worse even then the fiscal straitjacket that hamstrung California after Proposition 13 and other anti-tax measures. Equally bad is that DeSantis’s first act will be to name three Justices to the state Supreme Court, doubtlessly cementing a conservative-to-reactionary majority for a generation. Florida really is a sanity-stressing jurisdiction sometimes. This week’s edition of the Miami Law Explainer features yours truly being interviewed on 3D guns. You can get the Apple-flavored Miami Law Explainer, or the Android-flavored Miami Law Explainer. I’m told that either way it runs about eight minutes, which isn’t even long enough for a trip to the store. 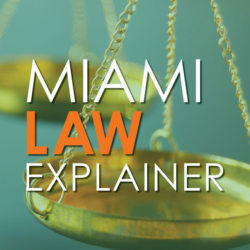 The Miami Law Explainer is a new series in which different members of the MiamiLaw faculty are interviewed on current legal topics. Check it out. 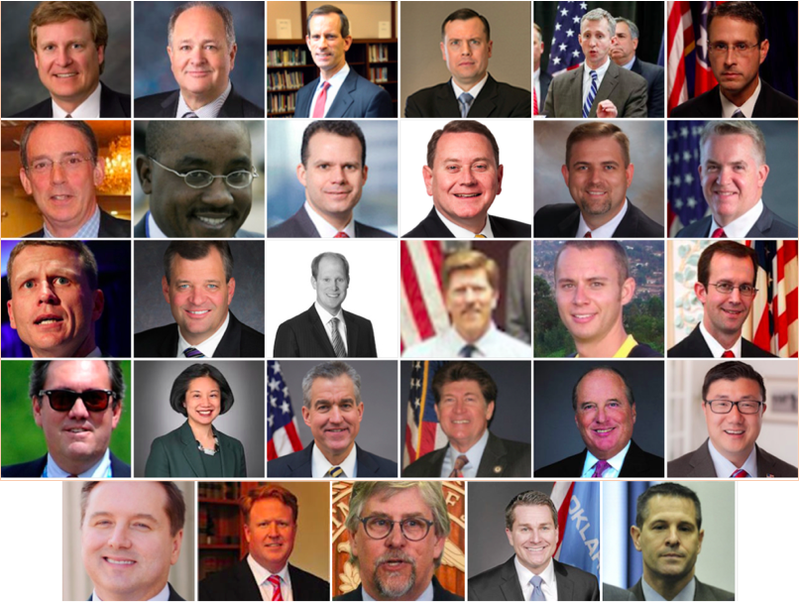 Over at ACS Blog, my brother notes that of the 29 people Trump has nominated for U.S. attorney positions, 28 are men. And 25 are white. I do not often recommend long serious videos; I tend to short and/or funny. But please consider taking 23 minutes of your life to listen to this speech by New Orleans Mayor Mitch Landrieu on the removal of four confederate statues. Spotted via Tom Sullivan at digby’s blog, who links to a transcript at The Pulse and makes a link to the US Supreme Court’s recent 5-3 decision Cooper v. Harris that struck down two racially gerrymandered districts in North Carolina. Contrast this speech to the despicable bills passed in the last few days by the Louisiana House to protect confederate monuments statewide and the bill passed by both houses of the Alabama legislature to prohibit “the relocation, removal, alteration, renaming, or other disturbance of any architecturally significant building, memorial building, memorial street, or monument” that have stood for more than 40 years on public property. The bill also prohibits renaming schools named after people. I confess that I don’t know much about Mich Landrieu, but if this is typical of the man, I hope he has a long future in politics. I have to agree with almost everything in the letter from Deputy Attorney General Rod Rosenstein. Comey botched the Clinton email disclosures and deserves to be fired for it. Of course, this being Trump’s World, and given the suggestive timing of the firing, one cannot help but suspect an ulterior motive. Unwillingness to share raw investigatory data relating to counter-intelligence regarding Russia? Update: Of course the whole world has known about the issues about Comey’s treatment of Clinton. It is hard to believe it took over 100 days to decide to fire him over that. CNN says Trump decided Comey had to go a week ago and told Justice to come up with a reason. What was happening a week ago? Why, this. Sounds like enough to set Trump off, doesn’t it? And, of course, it’s the coverup (or appearance of one) that gets you more than the crime. People in DC are already seeing a rerun of the Saturday Night Massacre, and calling for a special prosecutor. The law is different these days, so special prosecutors have less formal independence than they did in the post-Nixon reforms. Indeed, their independence is just about what it was in the Nixon years: not enough to prevent their firing, but enough to cause a crisis if it happens.